If you were to walk through the halls here at the ALC, you would very likely hear excitement and learning coming from Mrs. Keetch's classroom. There is always something going on in her classes. 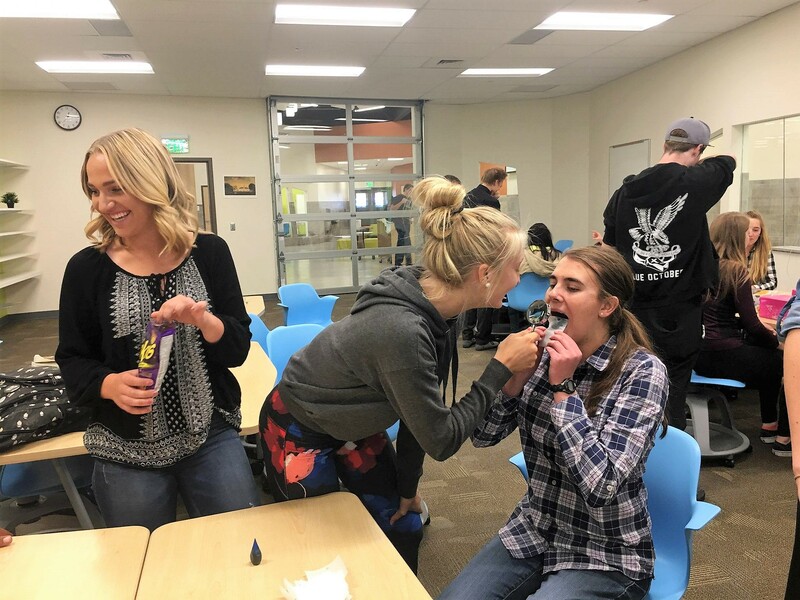 Recently Mrs. Keeetch's Psychology classes held a " Sensory Day". There were different stations set up around the room targeting different sensory stimulators. The students had fun learning and walked away from the "Sensory Day" with a different perspective on how things work. We are very lucky to have Cici Keetch here along with her fun way of learning.